If you've written a letter in error and wish to delete it, the following steps will guide you on how to perform this action. 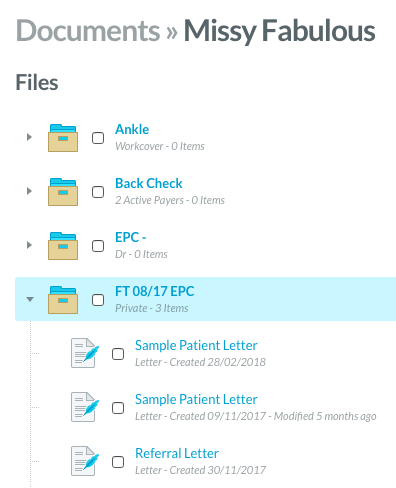 The action of deleting the letter will have to be done through the Documents section from within the Client's Profile. 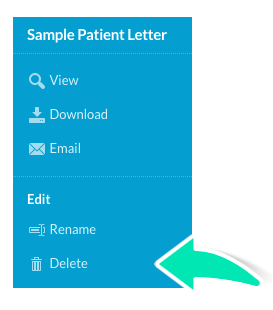 In the Clinical Notes section, you can only View, Edit, Replicate, Email or Print the letter. 1. 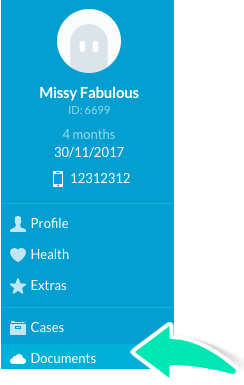 Once you are in the Client's Profile page, click Documents. 2. In the Documents section, search for the letter you wish to delete by clicking on the Case folder which contains the document. 3. This action will expand the list of documents contained within this folder. 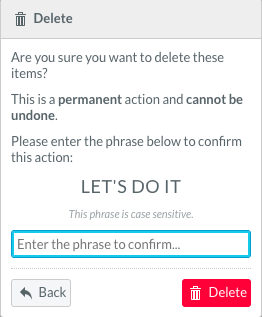 Tick the box for the letter that you want to delete. 4. On the menu on the right side of the page, under the Edit section, click Delete. 5. This will bring up a new window, type in the phrase and click Delete. The phrase is to safeguard the document from any accidental deletions. In the event that a letter/document was wrongly deleted, you can request the assistance of Nookal support via support@nookal.com to reinstate the letter.